Your TVR may look pristine from above but it could be a very different story underneath..! 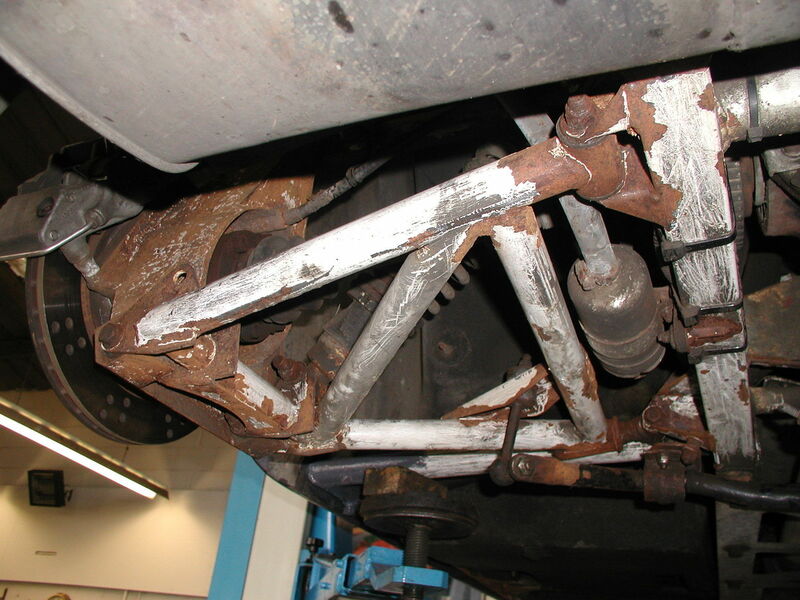 A TVR chassis like all other steel chassis' can suffer badly from corrosion, especially along the outriggers (the parts of the chassis that extend from the central backbone section to support the body, seats, battery etc. ), which are more exposed to the elements. Often the original powder coating can look intact and okay but the extent of the corrosion only becomes evident once this is scrapped off. 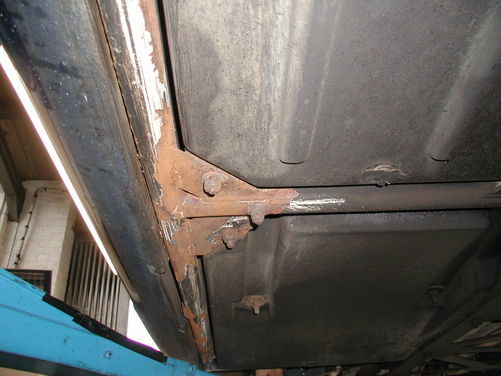 It is better therefore to try and attend to any chassis corrosion as soon as possible, before it spreads beyond visible areas above the outrigger tubes and they become corroded beyond repair and need to be replaced. We recommend that you have your chassis checked for corrosion regularly to avoid unnecessary expensive bills. 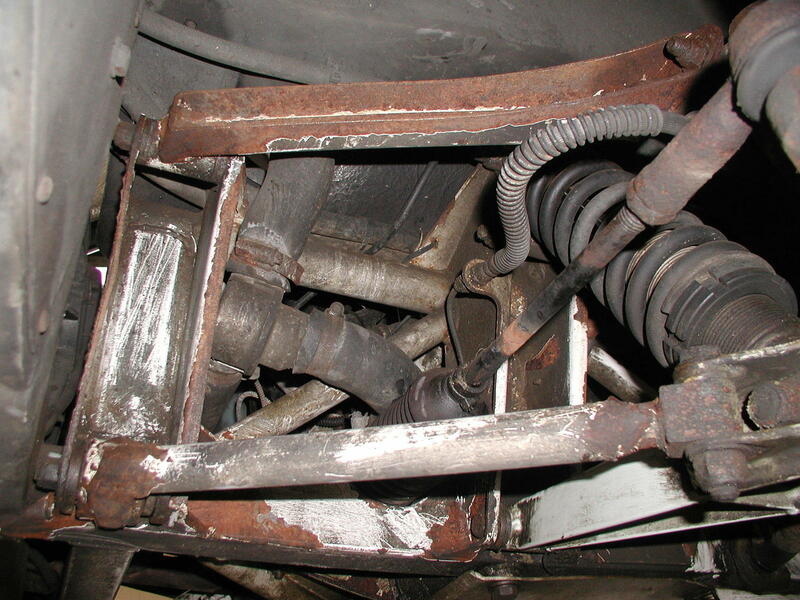 By simply scrapping, painting with quality chassis paint and waoyling, your TVR chassis will be fine for many years. If however the corrosion has gone too far, Techniques can repair or replace your chassis outriggers or even replace the complete chassis. A pot of waxoyl is a common sight here at Techniques. We recommend that you protect your TVR's chassis prior to the winter season by treating it with waxoyl. We offer a scrape / paint and waxoyl service, scraping back the old paint from the chassis, applying coats of rust prevention where necessary and an oil based paint, followed by two coats of waxoyl. This will then keep your TVR safe and sound from the salty winter roads for many years ahead, requiring only a small 'top up' which can be very easily carried out during your Annual Service.